J & A Restaurant serves up dim sum and a variety of other Chinese favourites you don’t want to miss out on! Discover the most delicious, contemporary Chinese cuisine this side of the orient. Our menu features creations inspired by traditional flavours and culinary techniques from all regions of China. Enjoy your lunch or dinner in our calming dining room, right across from The Bay entrance on 11th Avenue. 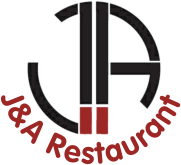 Whether you are visiting us for an intimate dinner, dim sum, or a sumptuous banquet, the J & A Restaurant experience is reminiscent of China and Hong Kong – right in the heart of Regina. View our menu here. Be sure to stop in and see us today!